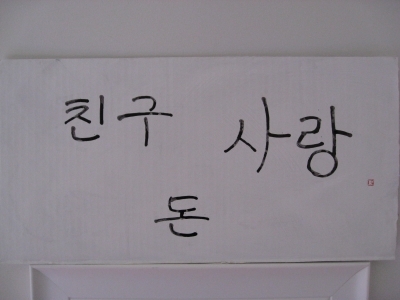 This words are Korean,which are pronounced chingu,ton and sarang. These are Mr.Jonghee Kim's favorite words. He said to me,"For successful life,it has to have friends,money and love." He comes from South Korea and is 20's.